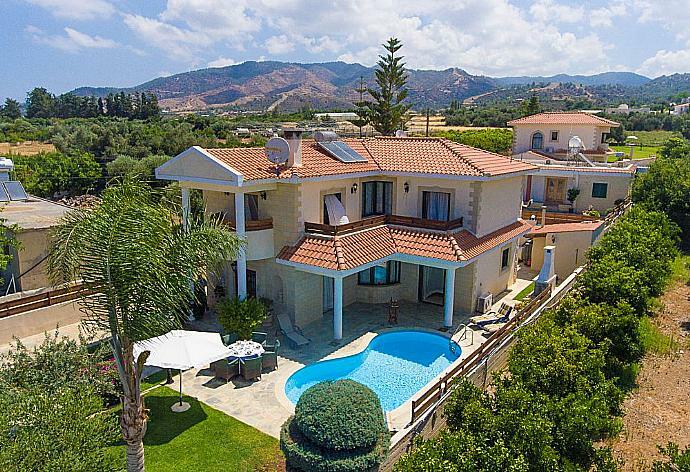 Villa Olivetta is located in Agia Marina, Cyprus. 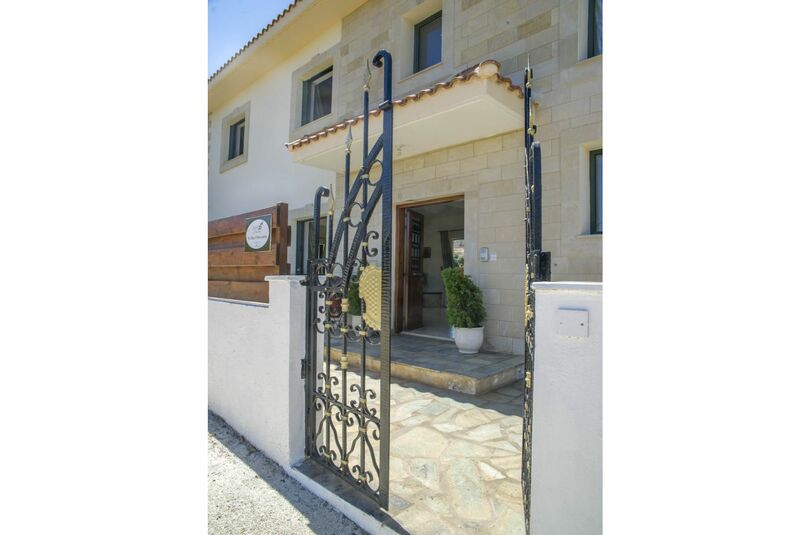 This detached vacation rental property is air-conditioned and sleeps up to 7 people with 3 bedrooms, 3 bathrooms along with private swimming pool (South Facing) and sea views. The villa is walking distance to the beach. 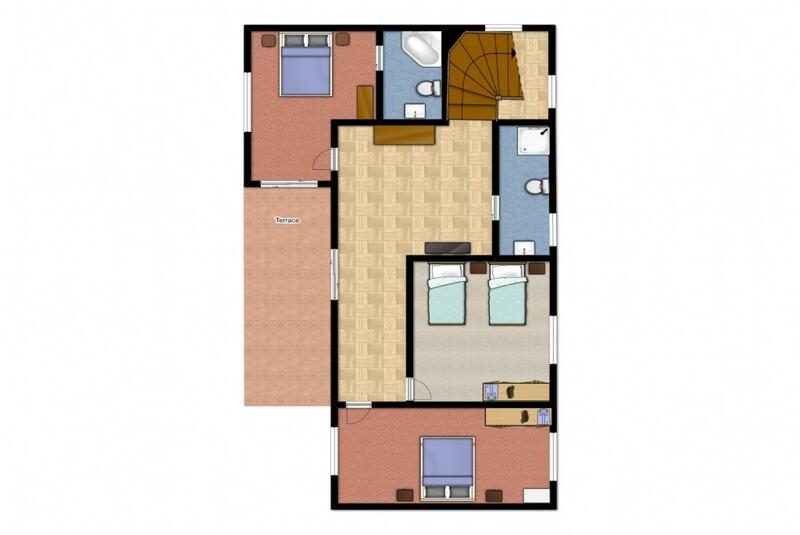 Large lounge, kitchen with dining area. Laundry room. Patio doors to shaded poolside dining terrace. 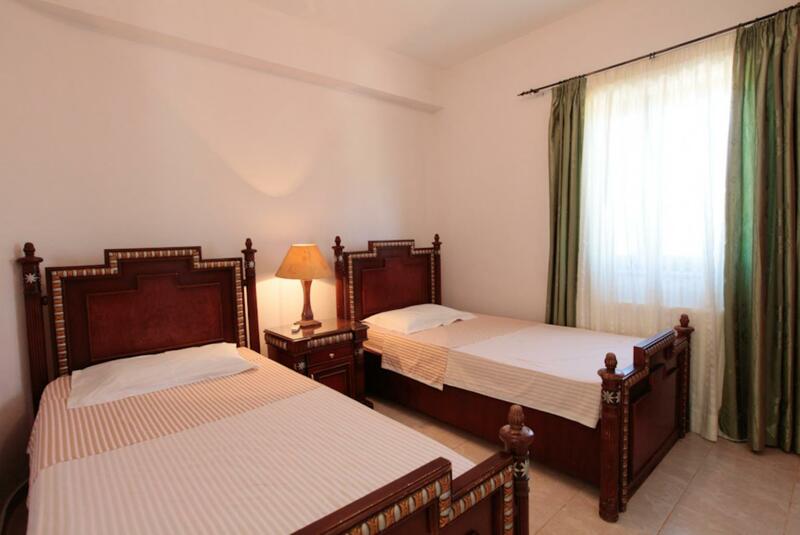 3 air conditioned bedrooms (2 doubles and 1 twin), 1 en suite bathroom and 1 family bathroom. If an additional bed is required there is 1 folding bed. 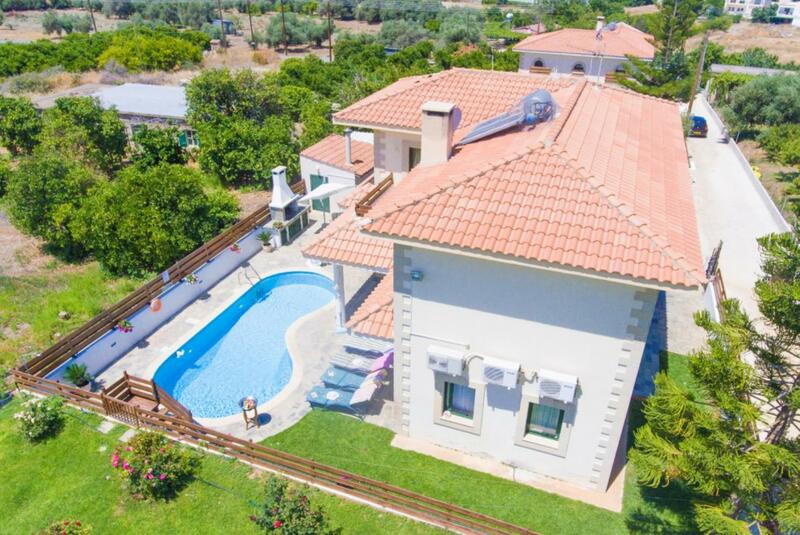 Villa Olivetta can sleep up to 7 people. The pool is totally private with sun beds and shades. The surrounding grassed garden is enclosed by walls and further adds to the security and privacy of this villa. The pool is not overlooked by any nearby villas. |Returned yet again to this Villa... Simply a home from home, but much warmer weather.. Another great trip. The temperatures for this time were so nice ,and the evening absolutely wonderful. We thoroughly enjoy returning here, the quietness at night, the well stocked apartment, and the dishwasher. 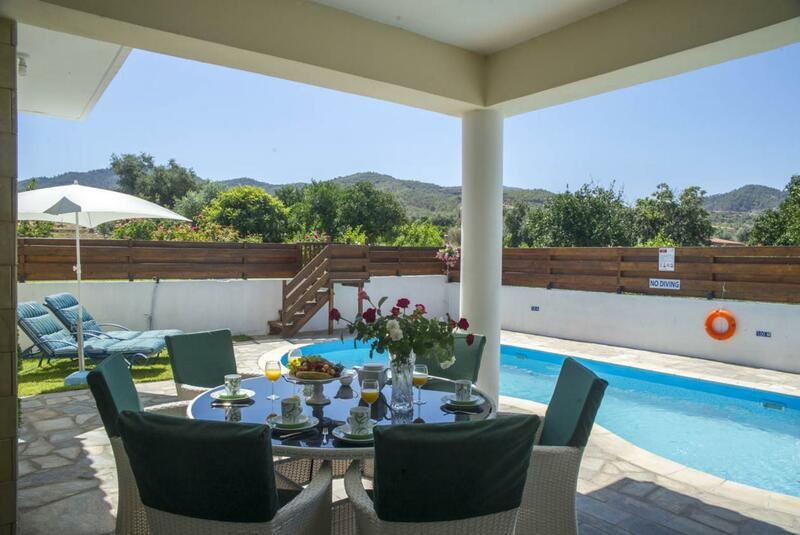 the Villa also has a nice outdoor space for using the BBQ and relaxing by the pool enjoying the view. We were nearby, beach and supermarket walking distance, We particularly liked exploring the town. Peace and quiet in Villa Olivetta........ 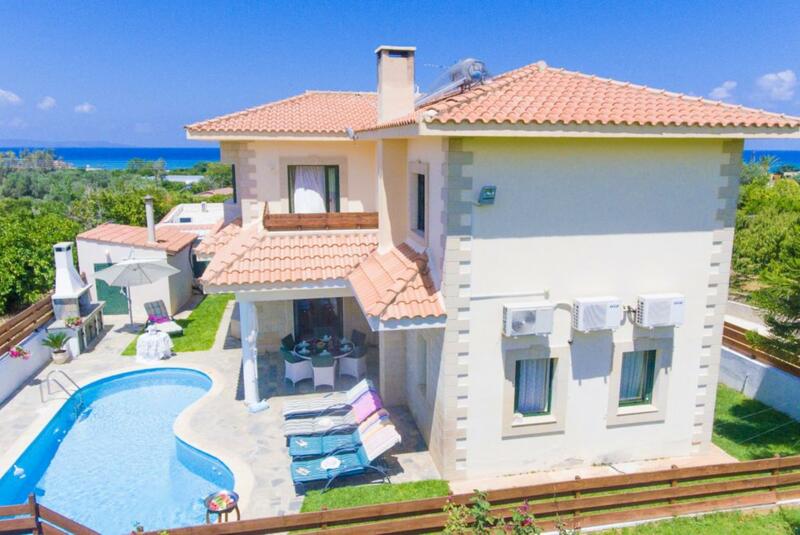 Very quiet and peaceful, great if you want to get away from it all and just relax.This beautiful Villa was spotless and had everything we wanted especially the beautiful sea views and nice size pool. 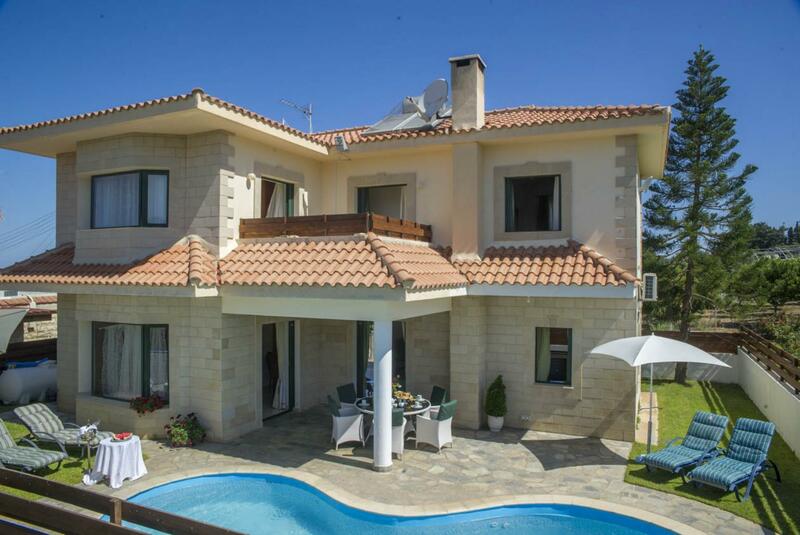 This vIlla is located perfectly still in walking distance of most. We will definitely be back next year. Thank you Agni and staff for this recommendation. Superb villa, close to Beach. Excellent family holiday. 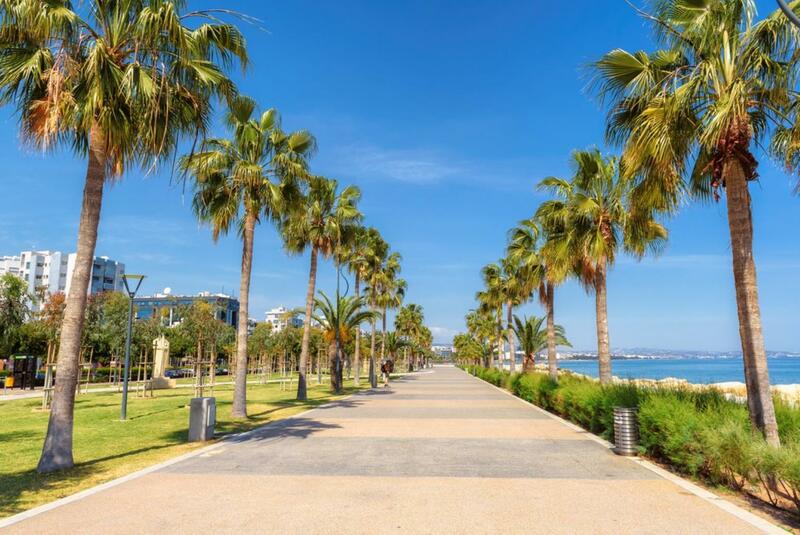 Villa Olivetta is walking distance to the beach and suermarket, which is convenient if you have older children who are more independent. 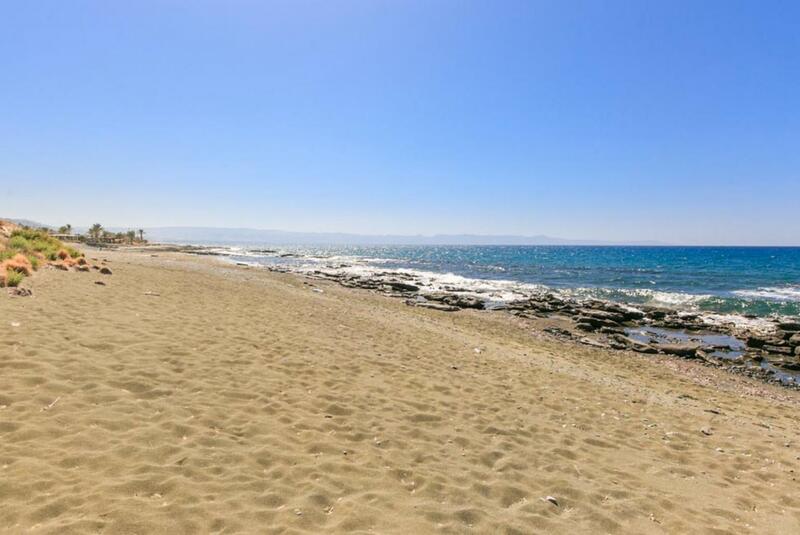 The beach is a 5 minute walk from the villa, therefore a car is not necessary. 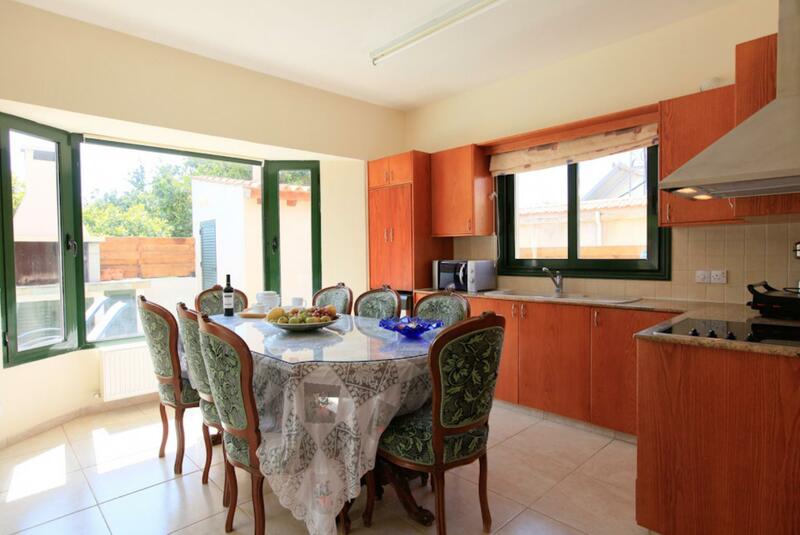 The villa is very clean and spacious with all appliances. The outside space is surrounded by a wall and garden which gives privacy from other villas. 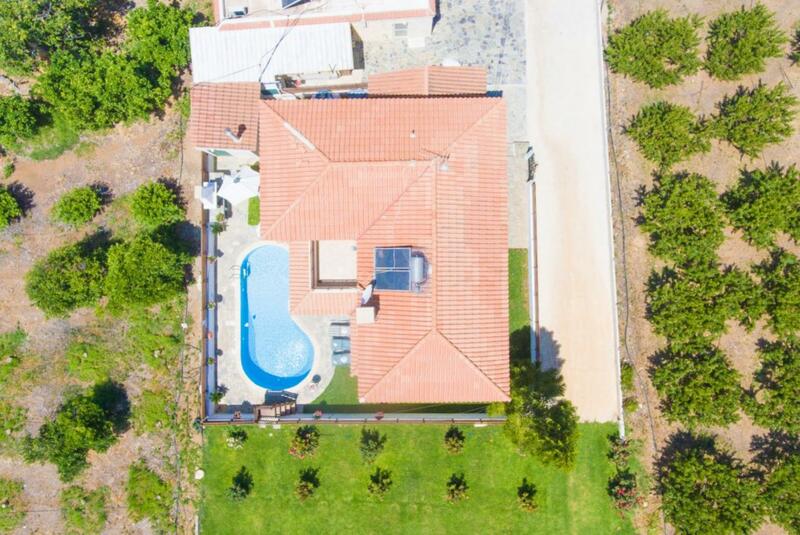 The pool is a good size which we enjoyed. . We had a lovely family holiday and would highly recommend this villa and this area of Cyprus. We had a fantastic holiday at the villa and enjoyed exploring the local area. 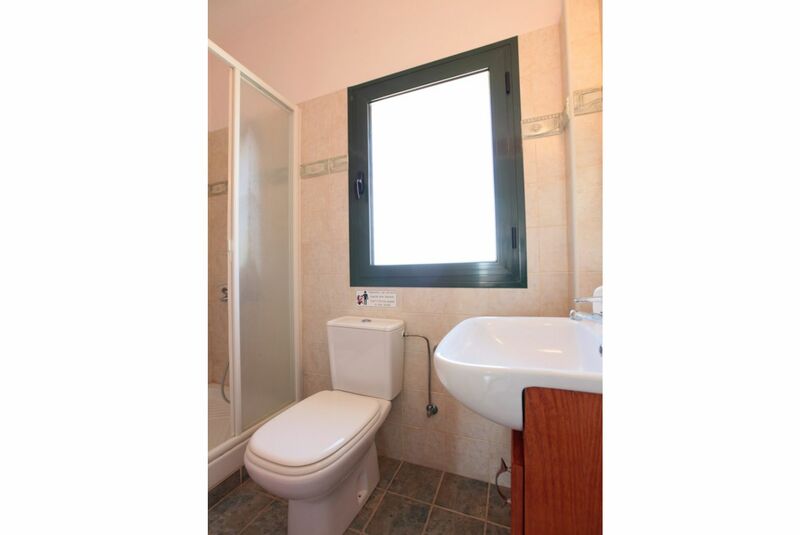 The villa itself was very clean, specious and well equipped. We enjoyed spending time in the pool, enjoying the quiet location and mountain views. 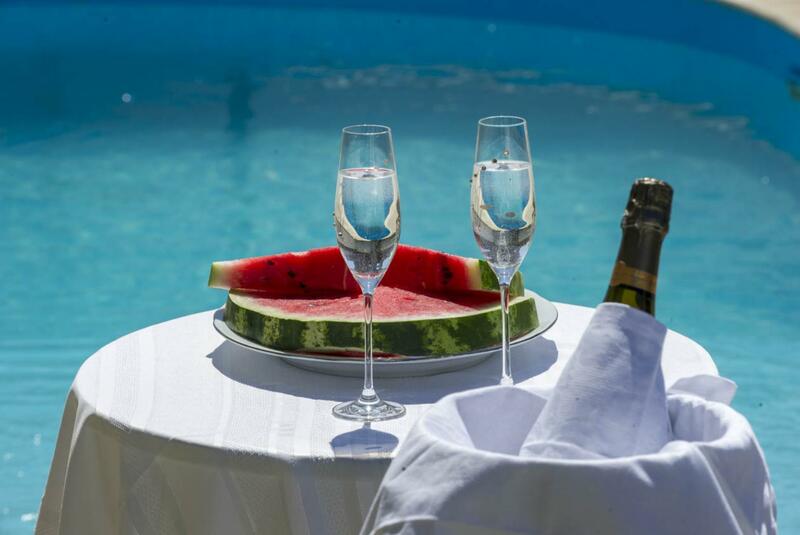 We spent a fabulous week in Villa Ollivetti during a heatwave in June. We arrived late due to flight delays and found the owner had put food and drink in the fridge for us. We drove down to a nearby taverna called Fly Again and although they had closed the kitchen they offered to cook us pizzas for which we were very grateful. We visited there three times and found the food excellent. The villa was in a perfect setting with a lovely garden attached full of roses. The local bakery was within walking distance and so was the sea. Although Agia Marina was very quiet it wasnâ€™t a problem if you had a hire care as there were lots of places within a short drive away. The sunset was stunning and not to be missed. The villa was spotlessly clean and well cared for by the owner Androulla who made us feel very welcome. The villa was exactly how it looked in the photos so we were very happy with our choice. 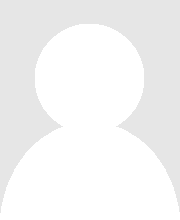 All communication with the owner and also with Agni Travel has been excellent. 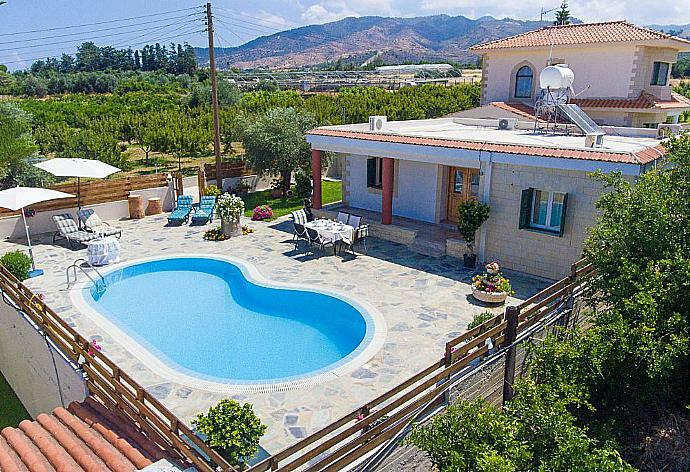 We would have no hesitation in recommending this villa and hope to stay here again in the future. We stayed in Villa Olivetta with our two children aged 6 and 8, and even though the children didnt mind the cold swimming pool (as youd expect at this time of the year) it was too cold for me! 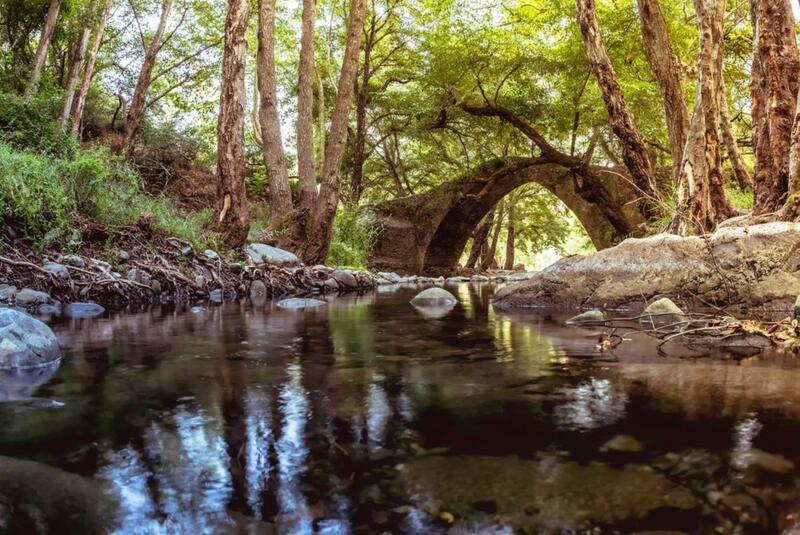 We loved the peacefulness of the location, and found that although off the beaten track it was easy enough to access lots of amazing places with a good car. We also very much enjoyed the tastes of Cyprus that Androulla either recommended or provided (lovely home baked flounda), the restaurant Coast was delicious with lovely sunset views. The house was clean inside and extra blankets provided for the chilly nights, although the days were lovely and warm. A great stay and I am sure we will be back. We had a very nice stay at this house. There is a friendly host who made us local food upon our arrival. We were able to checking two hours early which was very nice. Its a beautiful house and a very nice view! It was a wonderful stay in this villa. It was our 25th house that we have rented over all the years. It was one of the three best. The host was absolutely perfect. She was very helpful. Thank you for this perfect 2 weeks. The description was perfect everything was as seen on the photos and in the text. Androulla was a very welcoming and accommodating host. We had the most wonderful holiday in Cyprus. It was our first visit and we will definitely return. 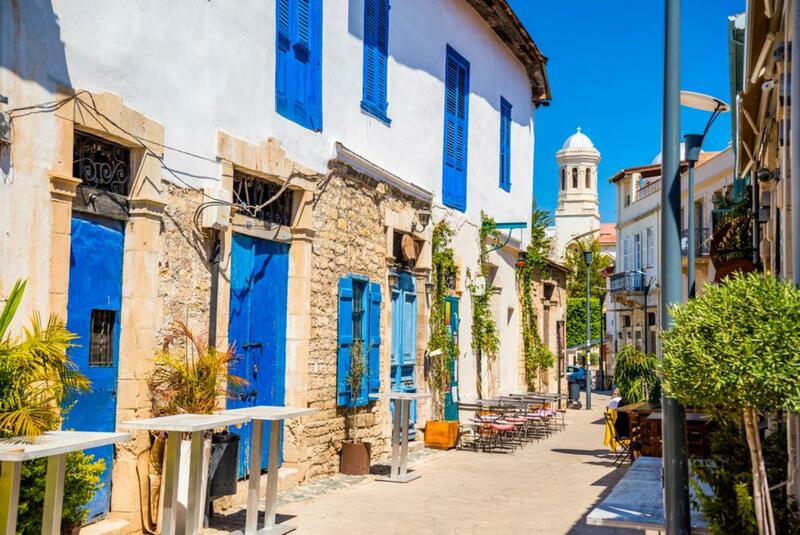 We hired a car which I believe is essential for this villa as you are unable to walk to a local restaurant but it helped us in exploring the island and wonderful restaurants and the beautiful town of Polis is only a short drive away. The villa itself was lovely. It was quiet relaxing had everything you needed and we quickly felt at home. Androulla (the host) was extremely welcoming really informative and happy to help. She gave us lots of advice and was on hand to make our stay one to remember. Andorra invited us to dinner which we both thoroughly enjoyed and was one of the highlights of our stay. Both Agni and Androulla provide a truly amazing service and I would highly recommend to all. We will be using Agni again and will look forward to seeing Androulla again in the future. We spent a week at Villa Olivetta and had a fantastic week. 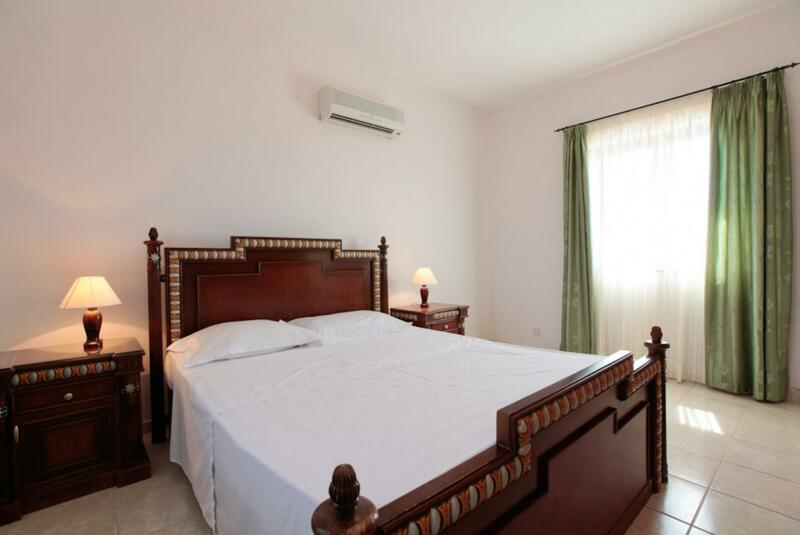 The villa was exceptionally clean and very well equipped. We arrived late on Sunday night to be welcomed with Soup and homemade bread left by Androulla the owner. Androulla also left everything we needed for our breakfast the next day along with tea and coffee. We arrived home another day during our stay to find homemade bread and dessert left for us. Androulla was kind and helpful during our stay and made us feel very welcome in her villa. She was there if you needed anything or any advice on places to go. The surrounding area is beautiful and there are many lovely places to visit with some breathtaking views. This is definitely the place to stay for a relaxing holiday away from the usual daily hustle and bustle. 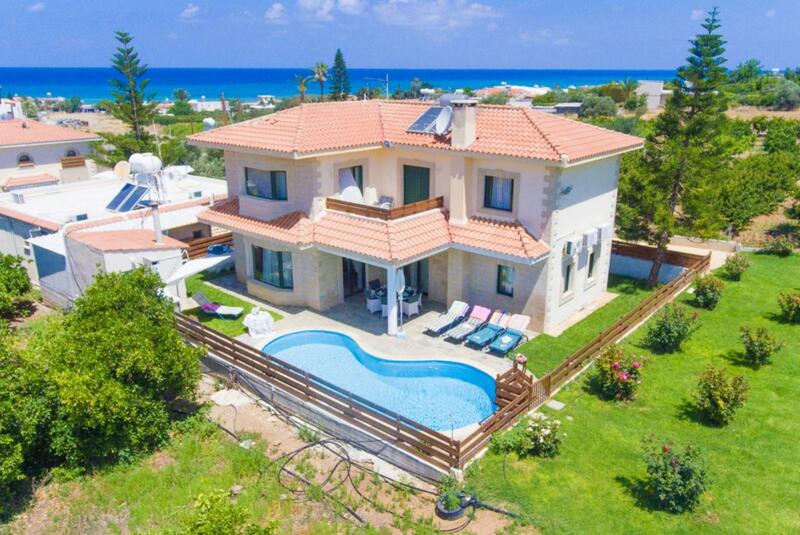 We would not hesitate in recommending Androulla and her villa to others and would definitely visit again if we come to Cyprus. 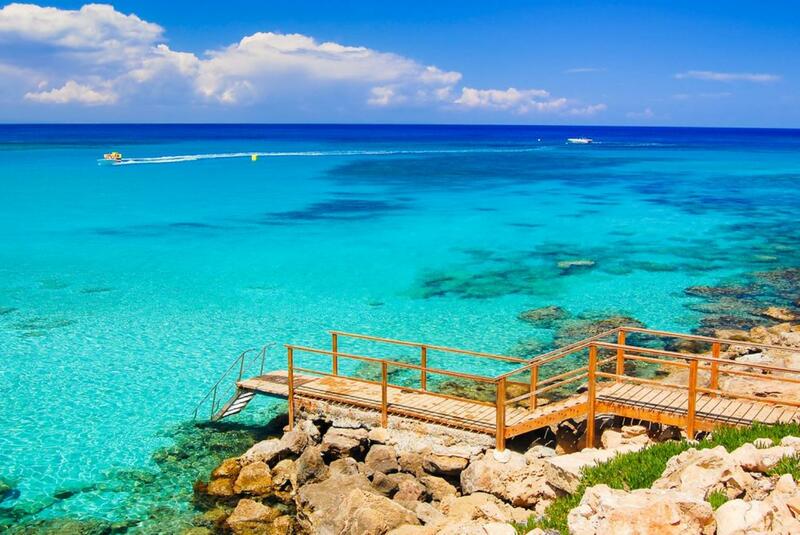 This was our first visit to Cyprus. We could not have chosen any better. We have never had such a relaxed holiday ever The villa is Exactly as it looks in the description. Spotlessly clean beautiful pool peaceful. 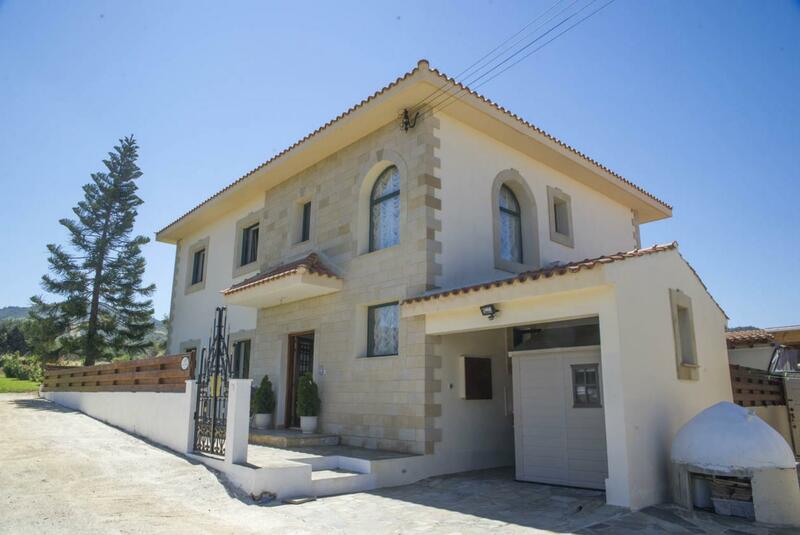 Set in a lovely village in a wonderful part of Cyprus. A good base to explore. Androulla the owner is amazing. She suggested local places to eat that were spot on. Nothing was too much trouble. Would suggest a car would be a very good idea to see the surrounding area and beyond.Would highly recommend. Are looking to return 2017. 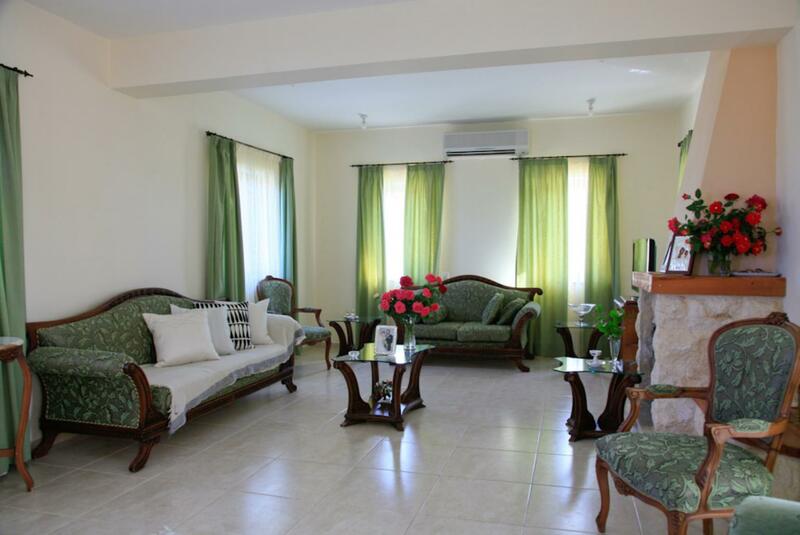 This is a 6 star villa quiet lovely location surrounded by orange groves and totally private. The villa was spotless and our host Androulla greeted us with a cooked meal on the first evening and supplied superb home cooked bread during our stay. 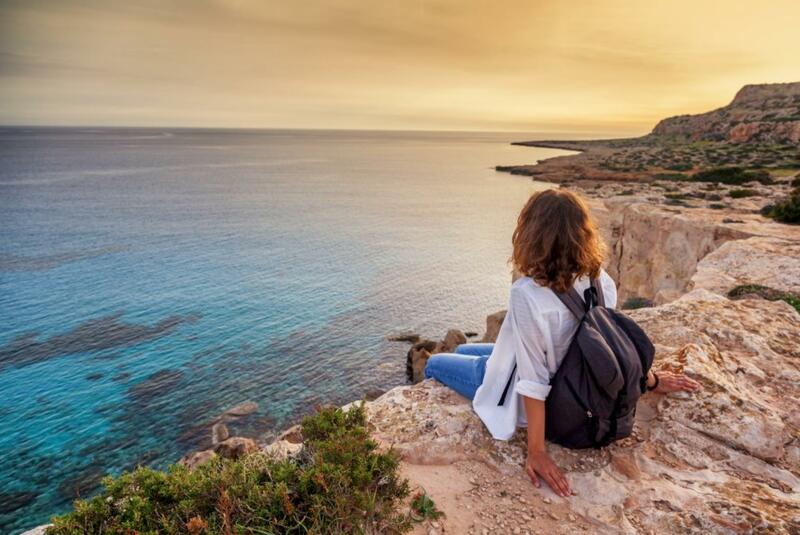 The location is a short walk to the beach and a local store however a vehicle is necessary if you wish to see more as the local bus service is infrequent. We have had a lovely time touring vineyards and sampling local food and look forward to visiting again soon.Thank you Androulla and Agni Travel for making it a great holiday. Holiday was excellent. Calm place. 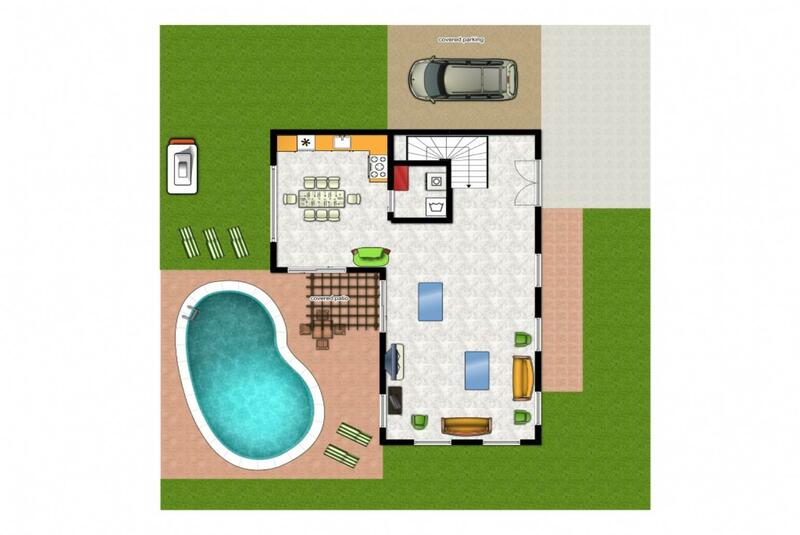 Nice villa which will recommend to our friends. Thanks. Overall we had an excellent holiday. 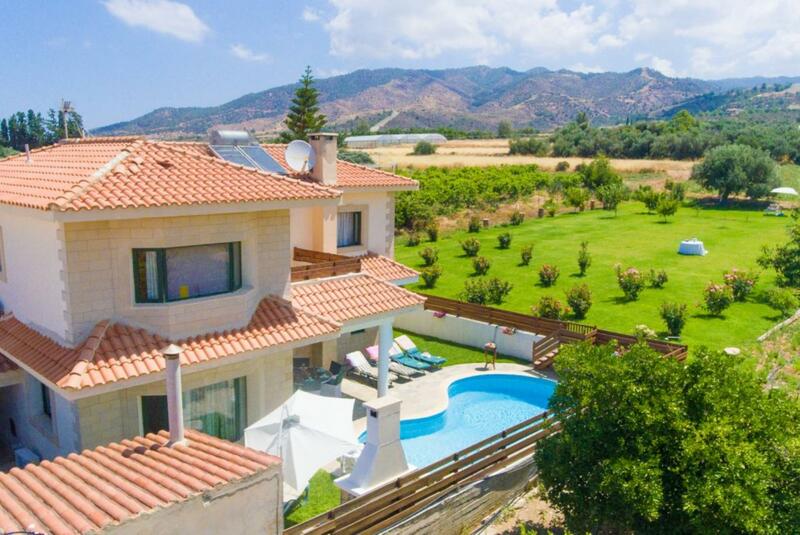 The villa was clean and well cared for and provided us with all we needed for a wonderful holiday.The property manager provided us with melons from her sisters garden and a traditional Cypriot pudding. We arrived in the middle of a heat wave and even the locals were finding it hot. The local taverna was most welcoming and provided good quality food at a reasonable cost. The local bakery was excellent for fresh bread. We shall certainly be returning to the villa though this time we shall visit either spring or autumn. I can highly recommend the villa. We had a very nice time, the owner was on hand most of the time and nothing was to much trouble. She keeps the villa spotless! Androula - the host and owner was lovely. She made us very welcome in her home. She gave us fresh vegetables and fruit from her garden and although not fully conversant with English gave of her best and was very welcoming and friendly. She even cooked us a meal and put fresh flowers from the garden in the house.The local area was lovely and held fishing and activities for us all. Although end-of-season the village still is nice and homely. The larger areas have greater investment but by staying local we supported local business where we could. There are lots of local Restaurants that need visitors to use them. The villa was perfect quiet and overlooking lovely scenery. The facilities and fixtures inside were clean and well maintained and easy to use. The natural area was lovely and lots of interesting birds and mammals could be seen from the villa listed in the house welcome guest book. There is plenty to view and visit in the area. The on-line guide was good. Travel and car hire were good. Very reasonably priced. The hire company liaison team were excellent as was our host Androulla. 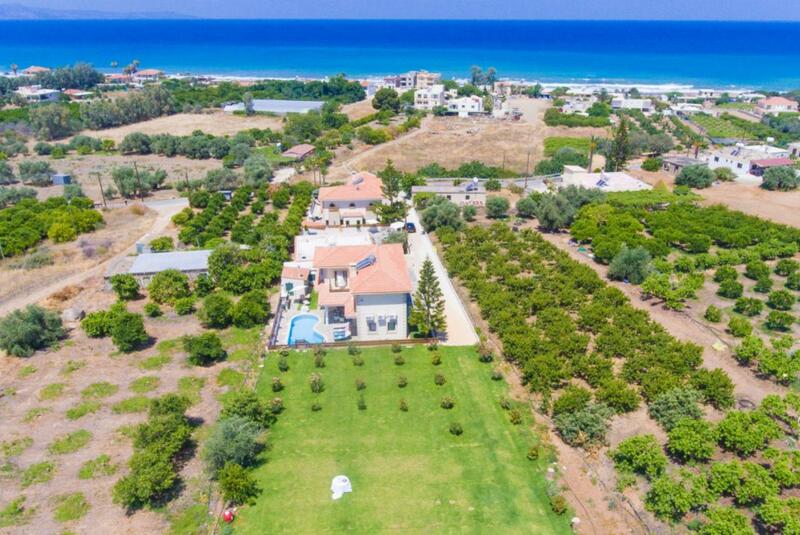 We recently stayed in this beautiful villa for two weeks We had the most amazing time and Androulla the owner made us feel so welcome. Nothing was too much if we could give 6 stars we would. Were already planning our trip next year! We had a lovely week and were spoilt with lots of lovely Cypriot food from the lady looking after the villa. This made our stay very enjoyable. Villa Olivetta is a wonderful place to stay if you want to get away from the hustle and bustle. The owner Androulla made us feel very welcome and provided a meal for us when we arrived late and breakfast the next morning. 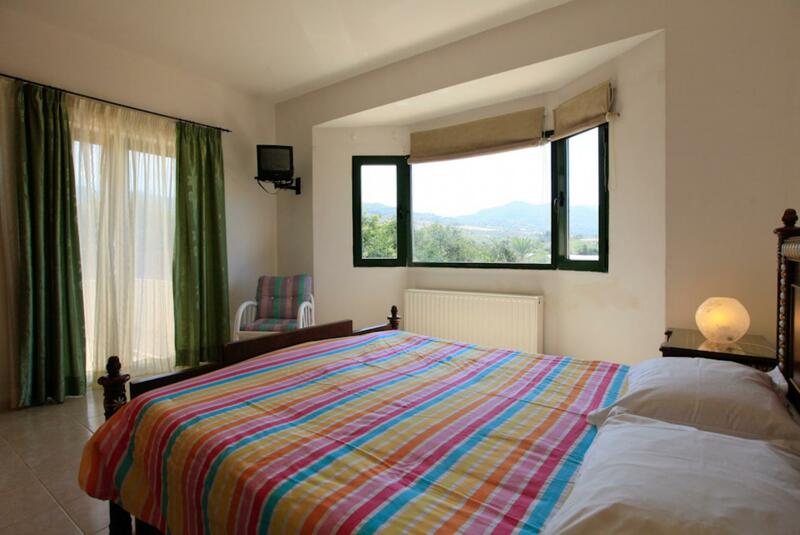 The villa is very well kept and the surroundings are quiet and lovely. The pool is definitely private. If peace and quiet and privacy are your desire then I would highly recommend Villa Olivetta. With our holiday we were very satisfied. According to the directions we found the villa without any problem. Accommodation was clean and very nice. Also the pool was clean. The lady who waited for us at the villa was very nice and pleasant. We were really pleasantly surprised. This was a lovely villa in essence. 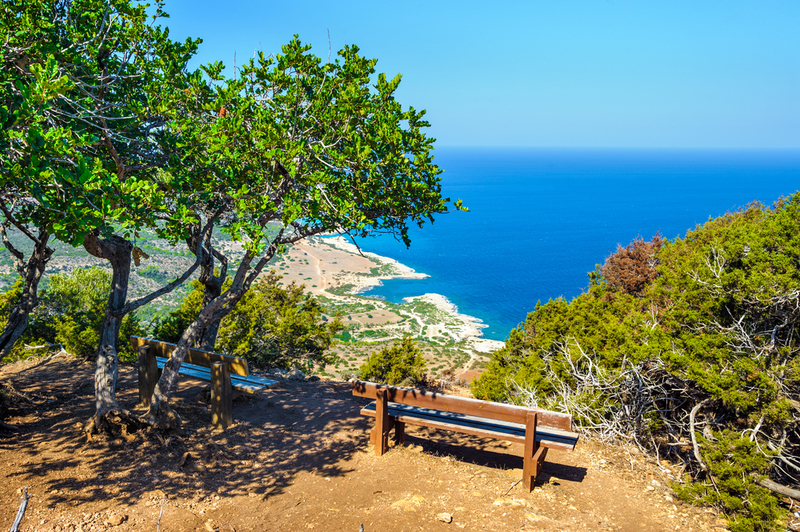 The position was ideal for us to visit the places we missed last time we were in down south Paphos. We wanted to be with the local people and we were. Away from the holiday crowds. Beautiful villa we stayed there for a week and it couldnt have been more comfortable. Very high standard of care from the owner I would definitely recommend this villa and I hope to return again. We had a great holiday.We were looked after extremely well and would happily recommend the villa and your company to any of our friends and family. If anything the villa and location is better than described. We did notify you of a couple of small issues but it was put right immediately which was impressive. Enjoyed the house and the village. Great village bakery and beach bar. A car is essential for eating out and getting to beaches to swim. 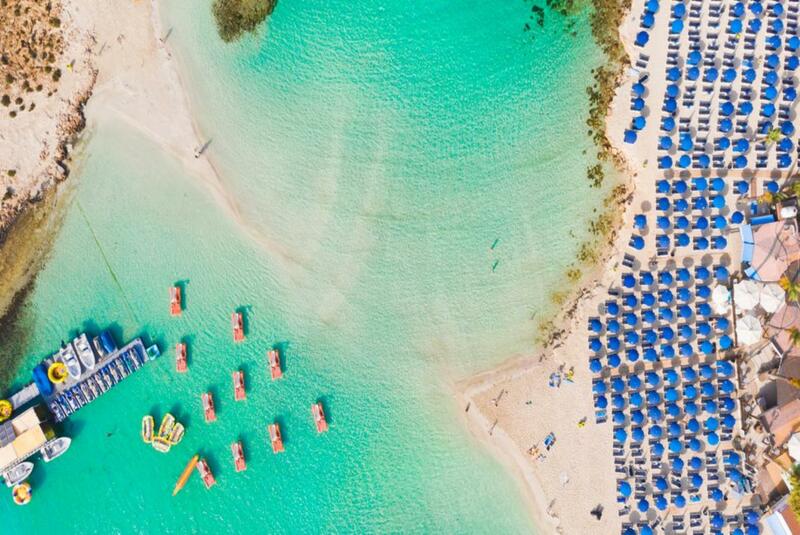 Pomos is worth a visit with great beaches on the way.A trip into the village of Steni and the taverna there is well worth it.